Speaking during a courtesy call on Governor Samuel Ortom of Benue State, Soyinka expressed regret that the administration was treating the malaise as a ringworm itch instead of the deadly cancer it is. Ortom, while welcoming the solidarity of the Nobel laureate, affirmed that the threats against the state were a combination of ethnic cleansing and jihad, even as he lamented the helplessness of the people of the state. 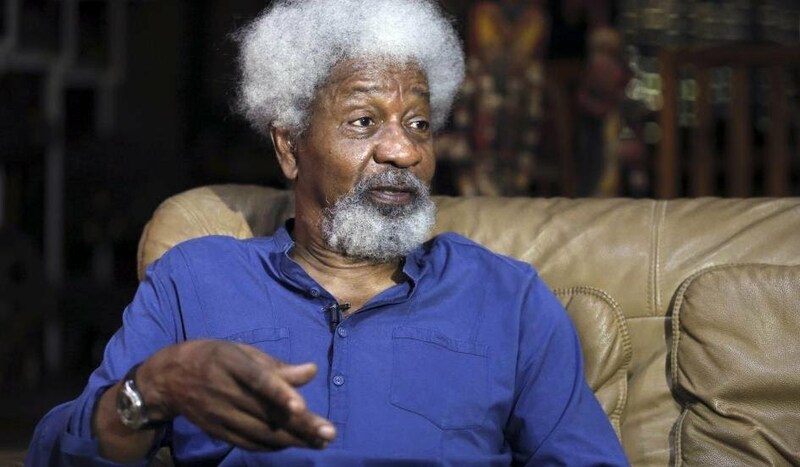 The assertions, however, did not find currency with some leading Northern leaders who decried Soyinka’s categorisation of the troubles in Benue State as ethnic cleansing. Among those who disagreed with him were Second Republic lawmaker, Dr. Junaid Mohammed; former governor of old Kaduna State, Alhaji Balarabe Musa and Second Republic presidential adviser on National Assembly Matters, Alhaji Tanko Yakassai. Prof. Soyinka visited Ortom in Makurdi, the Benue State capital, after attending activities marking the 35th anniversary of Senator Suemo Chia’s novel, Adan Wade Kohol Ga, written in Tiv language. He said: “I don’t believe in false pride, if the government cannot cope, it should not shy away from asking for international help. “When human lives are concerned in their thousands and so on, as it was observed everywhere all over the world, those nations where our military has served before can come to our assistance. I think there should be no business of national integrity, national pride and so on. “People are dying, this government cannot cope, please just ask for international help and I know they’re ready and willing to come to our aid. “Just like refusal to recognise, and at the critical moment, the nature of a particular problem that has been the basis of the massacres going on in this region, especially Benue State, there’s no other word for it. “Let’s not play around with the euphemisms. It’s no other word but ethnic cleansing. There’s no other definition for what has been going on here. And it’s very sad to me personally to see that a nation like Nigeria, with so much human talent, has failed to learn the lesson of the history of places like Rwanda. Governor Ortom in his response, said the recent events in the state were a combination of ethnic cleansing and jihad.